James Tekippe is a manger in the Compensation Division at VMG Health and is based in the Dallas office. His focus is providing valuation and consulting services for compensation arrangements within the healthcare services industry. He has particular expertise in valuations related to professional & technical reimbursement splits, clinical compensation, on-call compensation, subsidy coverage, and administrative compensation. 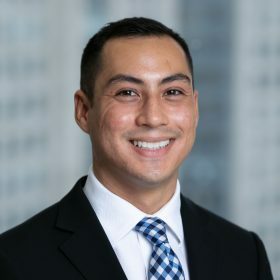 Mr. Tekippe graduated with a bachelor of arts in economics from Tulane University and a master of science in finance from the Edwin L. Cox School of Business at Southern Methodist University. In addition to his academic degrees, Mr. Tekippe holds the Chartered Financial Analyst (CFA) designation through the CFA Institute.